Not much is as glamorous as the vivacious peacock. 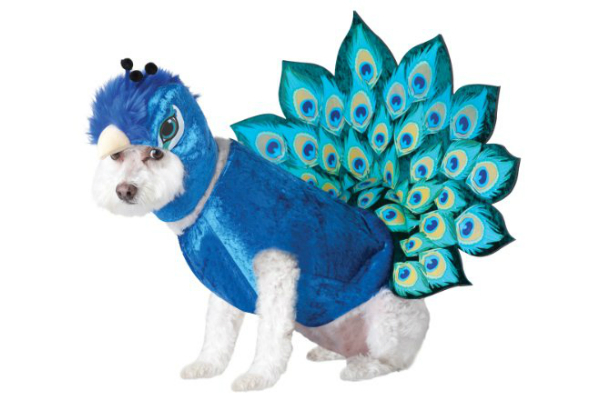 That being said, this delightful, bright colored peacock costume is perfect for catching someone’s eye. The body is a jumpsuit that comes with a printed tail and the head is a wig with printed eyes and a chin strap that keep the head steady on your dog’s noggin! 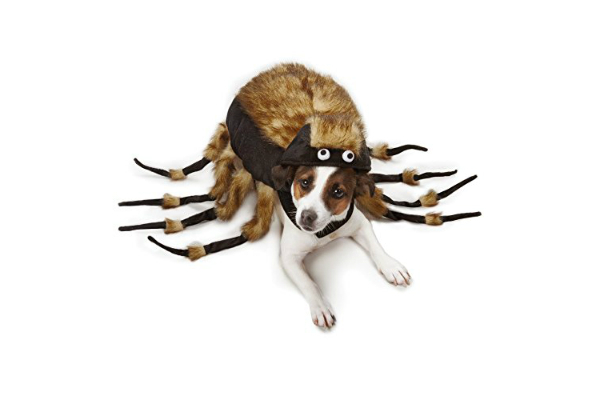 If you want a goofy and slightly creepy-in-the-dark spider costume for your dog, this is for you! It’s body and individual legs have plush on them for that fuzzy realistic spider feeling. There is even a slit in the back for a leash! The costume is held on by velcro and an elastic strap that tucks under the dog’s tail. 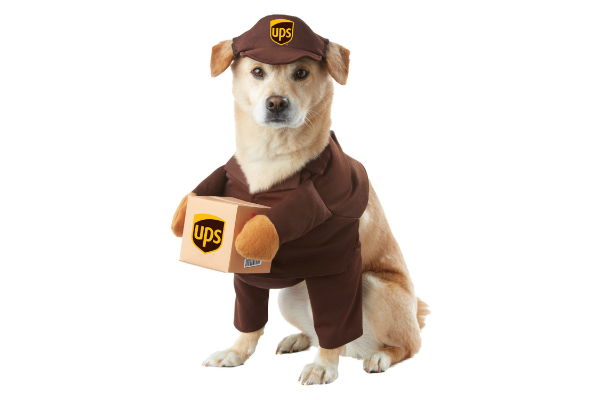 The review of this awesome UPS Delivery Dog Costume has arrived! This puppy comes in XS-LG so it will fit most dog breeds. It comes with a hat and a body that has these little arms that are holding a package so your dog looks like a little adorable delivery person! It’s foam visor has a chin strap so it stays on snug atop your dog’s head. Here we have the Butterfly Costume. 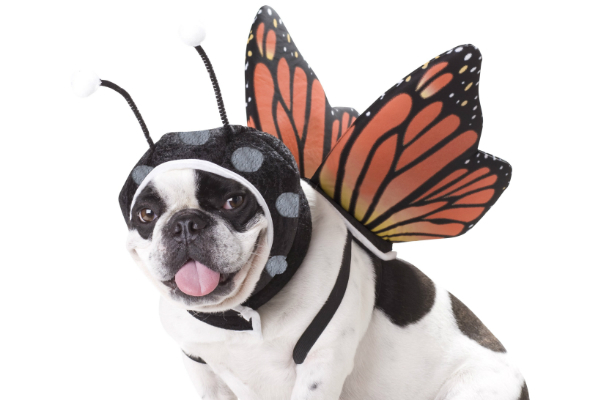 This lightweight costume is perfect for any dog aspiring to be a butterfly this Halloween! With it’s antenna hat and flexible body and wing piece, your doggie will be the highlight of any holiday get-together! It’s wings are vibrantly colored and the antenna stick out in such an adorable fashion! Your dog will be ridiculously cute in this outfit this Halloween!